The first-ever wind project on BLM land in Oregon is now officially online and operational! Lime Wind is a three-megawatt wind project developed and owned by the Joseph family. 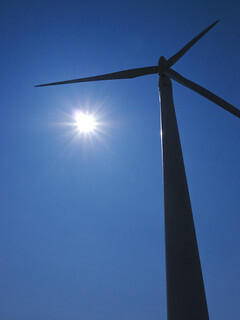 It is one of two locally-owned wind projects built in Oregon. The abandoned community of Lime is located halfway between Baker City and Ontario, Oregon, adjacent to I-84.